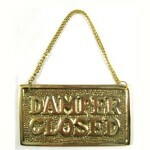 Not being able to open your throat damper makes your fireplace unusable. 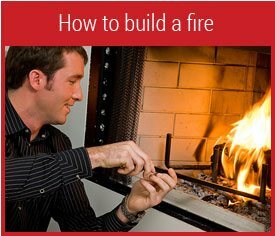 If you light a fire, smoke will flow out of the fireplace into the room, if the damper is closed. 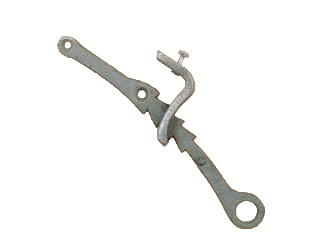 It’s not unusual to find that the handle that opens and closes the damper is stuck. Put on goggles and a dust mask. Look up inside the fireplace with a flashlight. Look for evidence that the damper is jammed by debris, nests, or dead animals that have fallen into the chimney. If you suspect a jam, it’s best to let a chimney sweep clear it. 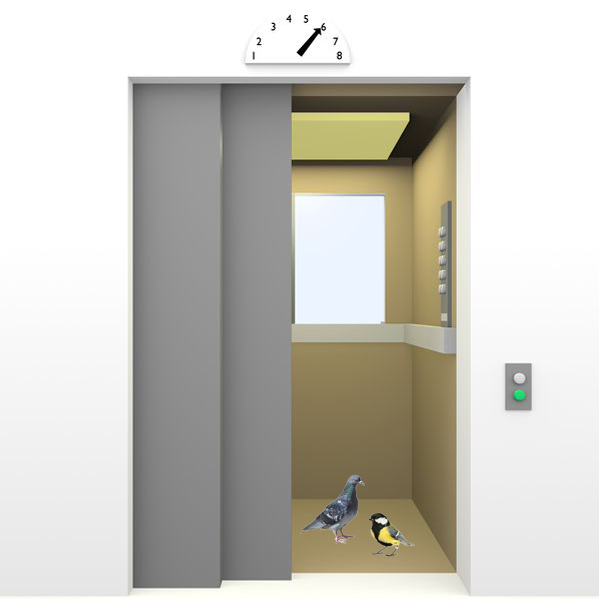 Bird and bat droppings can contain bacteria that are extremely dangerous to humans. A chimney sweep has the equipment to clear the jam safely. 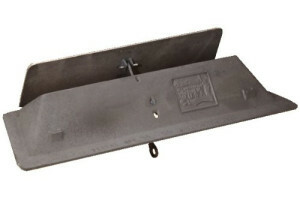 The most likely cause of a stuck fireplace damper is a build-up of rust, soot, and creosote on the hinges of the damper. Soot and creosote can build up from the normal use of the fireplace. Dampers rust when rain comes down the chimney because there is no chimney cap or the chimney cap has deteriorated. The damper will have pins on each end that drop into grooves in the sides of the fireplace, forming hinges. If the damper is not resting in these grooves, it will not open and close properly. So you must re-seated it in the grooves. (You can remove most steel plate throat dampers by detaching the damper handle and then lifting the damper out of the grooves.) You can have a chimney sweep clean the damper area, or you can do it yourself. Lay 4-mil plastic sheeting on the floor in front of the fireplace and tape some to the sides of the fireplace. Put on old clothes or a disposable paper suit, and a hat. You’ll need safety goggles, a disposable dust mask or respirator and a wire brush. First, brush the damper, giving special attention to the hinges. If the step above doesn’t work, you will need to clean the track that the handle runs in and the point where it is attached to the damper. If the prior two steps don’t cure the stuck damper handle, tap the handle with a sledge hammer after applying WD-40 to the part of the handle that is inside the fireplace. 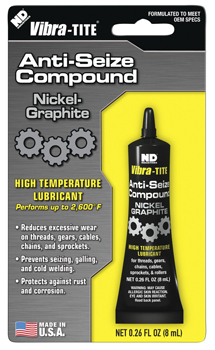 Once you have the damper opening and closing easily, apply some high temperature lubricant to the hinges and you’re done. WD-40 was first used to prevent rust on the Atlas missile in the 1950. The WD actually stands for water dispersal. 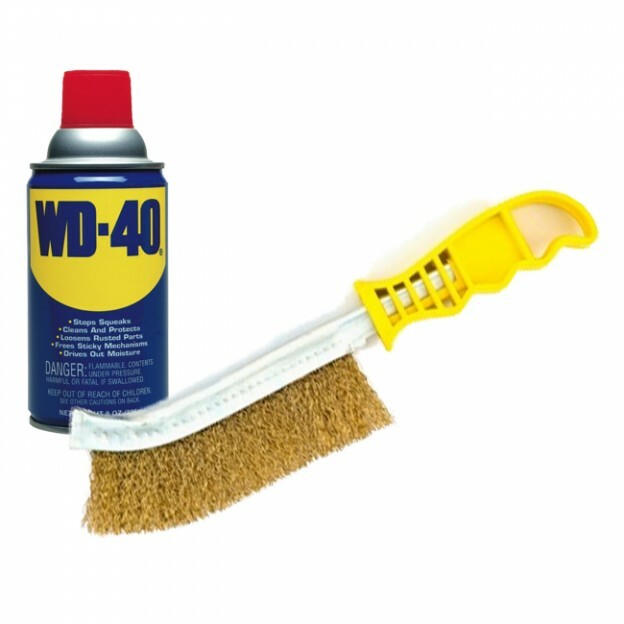 Spray WD-40 on your chimney damper to protect it from rust. It will also keep it lubricated so it opens and closes easily. 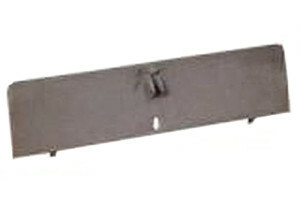 To begin with, if the handle of the stuck fireplace damper is broken, there are replacement damper handles for both fireplace throat dampers and chimney top-sealing dampers. 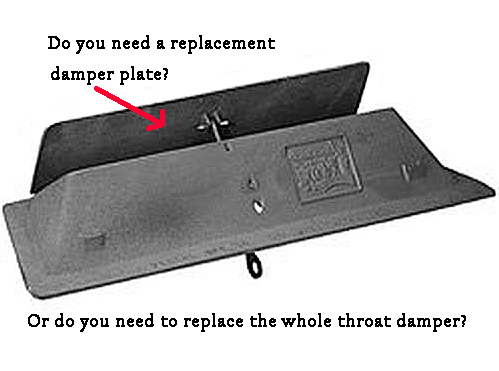 If the steel plate in the throat damper is too rusted, you need just a replacement damper plate. 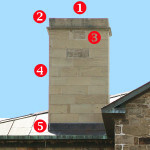 Finally, if the damper is missing, replace it with a top damper, so called because it installs at the top of the chimney. A cable running down the chimney to the firebox allows you to open and close the damper. Top dampers fit more tightly than most throat dampers. 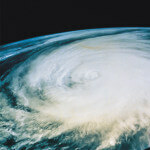 Therefore, they pay for themselves in energy savings by keeping heated air inside the home. Last updated by Susan at October 4, 2018 . We certainly identify with your DIY mindset. 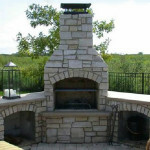 However, it is your home and your life at risk, so it is worth talking with certified chimney sweeps in your area. Shop around for the best deal. Sometimes they offer special summer rates when their workload is slow.